After being teased for what must have seemed like an eternity to Android fans, the promised Asus Nexus 7 dock may finally be finding its way to U.S. and Europe stores soon. U.S. prices for the dock reportedly start at $49.99. Personally, I’m not really a fan of docks but it looks like this is one Asus Nexus 7 peripheral that has a lot of users excited. The good news is that they only have to wait for a few more weeks before they can get their hands on it. 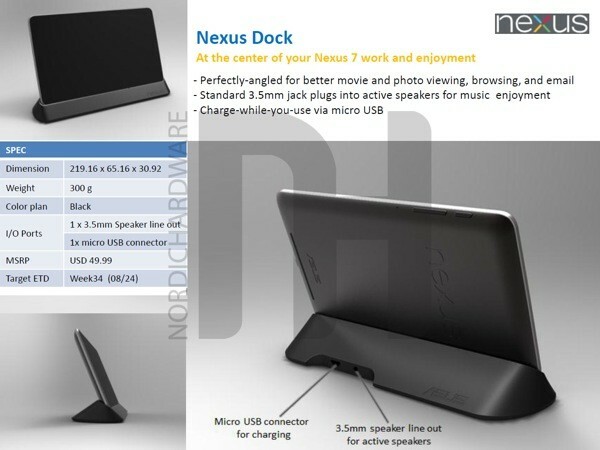 Is the Asus Nexus 7 dock what you were expecting? Will you be picking one up for your tablet when it becomes available? Let us known in the comments below!